I fancy writing a positive post, and one about a different area of my life, not the trying to conceive part. 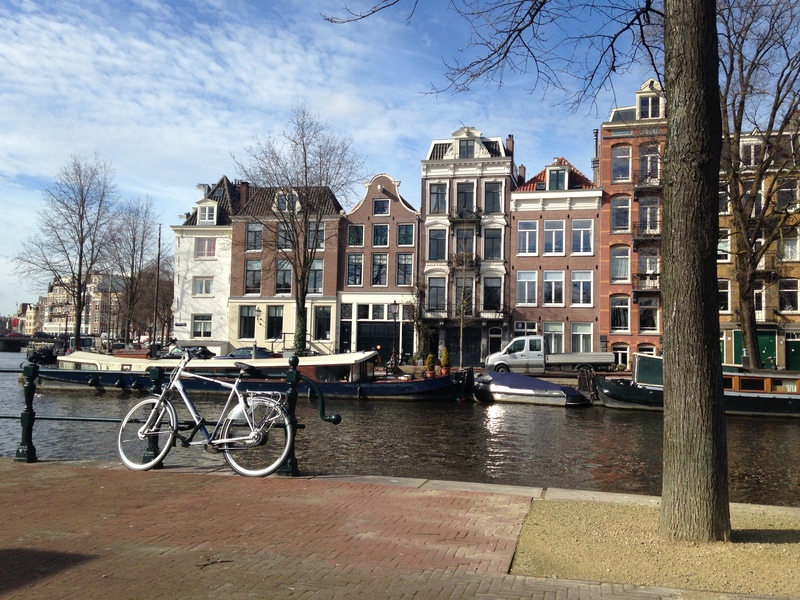 So M and I went to Amsterdam two weeks ago for a three night break. It was fantastic! The feeling of the place was one of calm, the moment we arrived I took a deep breathe and decided to forget as many of my problems as I possibly could. So many of our conversations lately revolve around not getting pregnant and DIY to the house (don’t get me wrong, that’s one of my favourite topics) but it was refreshing to go to an entirely new place together and explore. On the first evening we found a little old fashioned looking steak house, the walls were mahogany wood and the ceilings were low. It was cozy and warm and the smell of the food enticed us in. M ordered a beer and I had a double gin and tonic. And I felt like “us” again. We chatted about what we would like to see in Amsterdam and what food we fancied that evening. M ended up going for a steak (wise choice in a steak house) and I opted for seabass. It was an amazing meal, and afterwards we headed to a bar called the Chocolate Bar (minus any chocolate unfortunately!) and had another drink before heading off to our lovely hotel. All I thought about whilst I was out there was what I was doing at that very moment, be it eating (and we did a whole lot of that), seeing something new, or immersing myself into a different culture for a short while. We walked for miles and miles without realising, and the exercise felt great. We spent hours having brunch, which is one of my favourites meals. One morning we found a place called “Coffee and Coconuts” which was a converted 1920’s picture house. The building was vast and went up three floors. Our table was suspended by ropes and the food was eclectic! We chose the same off the menu, because it looked so interesting: mashed avocado with scrambled eggs on top, a coconut pancake with raspberry coulis and a little pot of vanilla yoghurt with granola. Very different to my usual porridge and just fantastic. One of my happiest breakfasts ever! On a different note, we visited Anne Frank’s house which was emotional, and really helped me put my life into perspective. I cannot begin to comprehend what people and families must have been through during such a harrowing time, the fear and loss must have been unbearable. 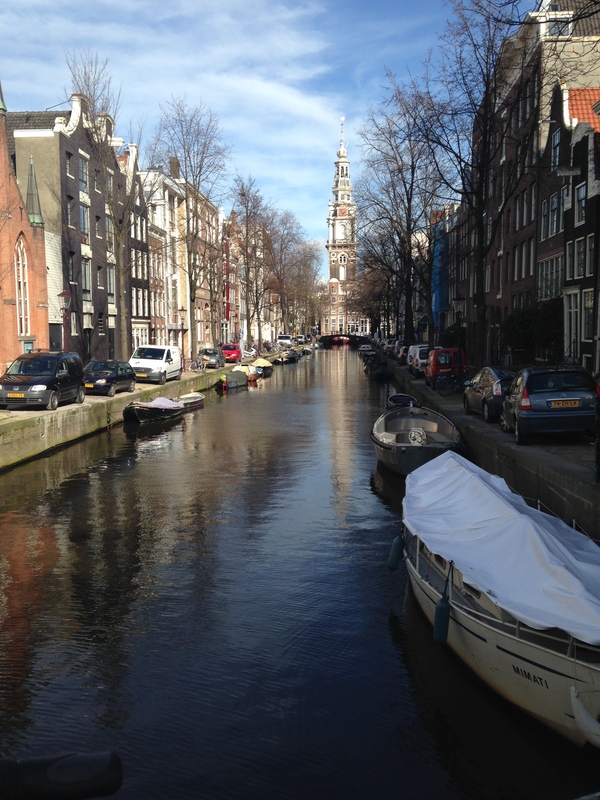 Amsterdam is surrounded by water which had such a calming effect. We bought the most fancy chocolates (and most expensive) and ate them whilst overlooking a beautiful canal (I went for lemongrass, and have never tasted anything like it). We walked more and stopped in a pancake house for a bacon pancake and rum tea. I haven’t even mentioned the bikes yet! 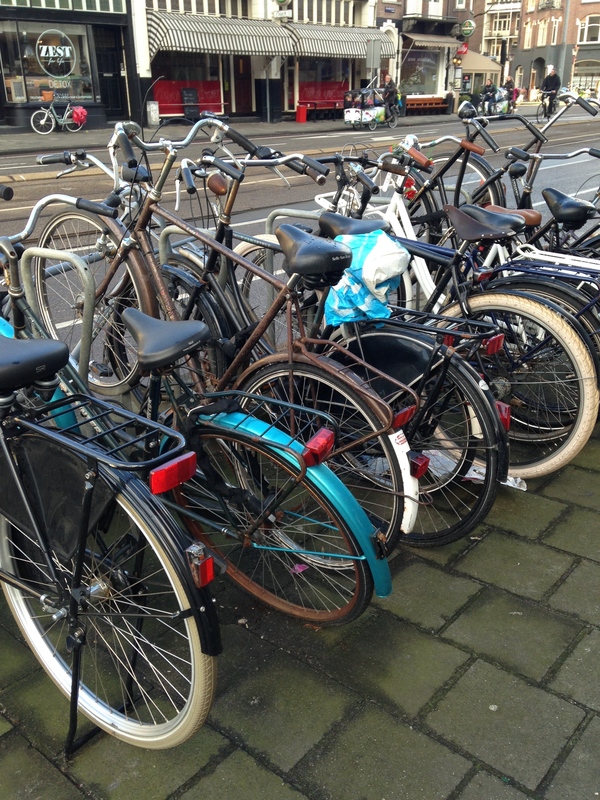 My job is related to cycling and so I was so interested with how Amsterdam gets around. And let me tell you, it’s all by bike! Literally, hundreds of thousands of bikes, and you need your wits about you at all times, because more often than not, you’re in a cycle lane by mistake. The Dutch cycle along having their breakfast, talking on the phone, or chatting with friends, it’s such a standard way of life for them. And so it was an amazing three days, and we will be back. I’ve shared a couple of photos below, incase anyone is interested. I’m so jealous! I would love to see Amsterdam. Or, you know… anything in Europe.